Indeed. The ’60s are over and this is the ‘new Oxford Movement’. Anglo-Catholicism as a movement is over as well, and we’re not in communion on this earth, but you, I, Pope Benedict’s Catholic revival (of which Reform of the Reform is a big part), the Orthodox convert boomlet and some independent-sacramental-movement church people I know with a ‘Traditional Liturgy Apostolate’ (which appeals to people our age and younger) seem to be heading in the same direction, credally orthodox and high-church. As a high churchman at a ultra-progressive “shrine” church, I can see some general trends. 1. Replacement of core doctrinal content in the liturgy with social teaching content. Example: Prayers for the Candidates in baptism of infants and young children turn into prayers for temporal rather than spiritual welfare of all children. 2. In the 19th century, this kind of trend in Unitarianism resulted in de-emphasis of the sacraments in favor of preaching. 3. While I see preaching has a very important place (more than in the Roman Catholic Church), it has not gained ground over Baptism, Eucharist, and Anointing/Laying on of Hands of the Sick. 4. Baptism and Eucharist as broad community-building exercises and as support for daily life: regenerative, salvific, theotic aspects de-emphasized. 5. De-emphasis of what some call “magical functions of the priest” such as sacerdotal absolution and certain manual actions at the altar. Such functions that can be delegated to the laity as a whole are emphasized, i.e., healing. 6. Evangelicals, even liberal Calvinists, are attracted by social teaching and higher view of the sacraments. 7. Roman Catholics/Orthodox are attracted by social teaching in a sacramental church. Those who are better catechized soon guess that despite the parish’s claim that their practice is unusual in that it is Episcopal, the parish actually represents an extreme on the Episcopal spectrum. 8. The parish has a lot of unchurched/atheists/agnostics. As best as I can tell, they’re looking for a community of like-minded people and opportunities for activism/service in an America where non-governmental organizations of this type are rare outside of religious communities. The preaching facilitates their incorporation by de-emphasizing core doctrine in favor of social teaching. I think the conservative version of this might involve some syncretism of Roman Catholicism and Objectivism. I very much doubt such a thing exists. 9. I can’t tell if the parish is growing, but the average age of parishioners is decreasing. Four years ago, the 18-39 demographic was maybe 4% of the parish. Now, it’s at least 20%. The growth of this cohort seems uncorrelated with marital status/children. Some have kids. Some don’t. 10. Among this cohort, there is considerable doctrinal diversity, but many have strong feelings against credal orthodoxy. These are good questions to be asking. I can only address the clergy formation question, and only from the perspective of my own diocese, which has historically had little liturgical consistency or discipline (as a diocese). I also spent 8 years on COM, part of that time as Education chair, so I have a sense of what some of the liturgical formation has been like. In our diocese we are just as likely to have postulants attend Drew or Union, as GTS or any Episcopal seminary. At Drew the chapel practice is the wide-as-possible smorgasboard approach, with different denominational groups or classes taking responsibility for worship on any given day. For about 10 years Drew had a year-long liturgy/preaching/music course that tried to teach the basic principles of liturgical theology and practice, but lots of the things that Anglican students need (particularly what I would call liturgical reasoning) could not be addressed. Both from own experience and my observation, it seems that a lot of the formation has been happening both in a seminarian’s field ed parish, and in whatever parish they first serve – maybe as a curate, but increasingly, maybe not. From general conversation around the diocese, there seems to be an emphasis on being “creative”, and little regard for the bishop being the chief liturgical officer (although our current bishop is changing that). What I find disturbing is that “creativity” usually means jettisoning the BCP for things that are considered more “effective” and “life-giving”, without having taken the time and trouble to see what our tradition really has to offer. I agree with Caelius that the education and formation of parishioners around sacramental theology is lacking. That is an aspect picked up by an article in the most recent Christian Century which says that churches of all denominations are moving away from doctrine and towards experience. The problem becomes, however, that experience by itself is like the seeds in the parable that fall on rocky soil – they sprout quickly, but then die away from lack of depth. That can then lead to restlessly looking for the next experience, whatever that is. I think we are missing that Benedictine sense of commitment to stability (not elevating it above the other core Benedictine values), at least in our worship and theology. The bottom line is that there’s a very mixed state of both liturgical practice and liturgical education, IMHO. 2) Lack of education on the Creeds and core doctrines–Incarnation and Trinity. And how these relate to salvation in both spiritual and temporal matters. At our best, Anglicanism has refused to divide the two. 4) Postiviely, this enrichment is drawing from rich parts of our own English tradition–Songs of Anselm of Canterbury and Julian of Norwich, for example. And typical of our own Church, from our Eastern cousins. 5) That we’re in a real hurry for something new at a time when stability of rite is what many are hungering for. 6) My own parish might be thought of as progressive, yet the liturgy tends on the whole to remind increasingly of Eastern worship. 7) In progressive churches an overly uncritical orientation toward the present administration. I see some of the trends that Caelius and Christopher have mentioned in preaching around the area—social teaching that de-emphasizes credal orthodoxy. The parishes here seem mostly lower on the candle—on a par with what I found in Atlanta—and gender-inclusive as standard with a modalist invocation fairly common. A follow-up to Christopher’s observation about lack of education regarding Creeds and core doctrine: I am so glad you have paired Incarnation and Trinity in relation to salvation. I have have thought for some time now that a big part of the current struggle with the need for salvation and atonement has to do with a deficient undertanding of both the Incarnation and the Trinity (doctrinally speaking). The feedback that I’m getting from my parishioners is that they value the kind of classic (perhaps a better word than traditional) formal Anglican worship that is our hallmark, is that it makes them feel grounded and real, when their work lives are far too fractured and breathless. In fact, they are asking for more silence, and more reflective ways of saying the psalms (we alternate Sundays between speaking and singing them). I worship at a moderately Anglo-Catholic church in impoverished exurbia. Divorced from Scripture, the Patristic tradition, the Creeds and liturgical worship become anemic, if not dead. It’s impossible to appreciate the Tradition without some knowledge of what’s in the Book. This lack of interest in the Bible is reflected in the sorry state of the Liturgy of the Word, at least at my parish. The Lectors rarely read their portions with authority or liveliness, i.e. they don’t read as if they have studied the pericope or understand its context in the wider Scriptural narrative. Liturgical renewal focuses far too much on the Anaphora, IMHO. The Liturgy of the Word is in a serious crisis as the untutored mumble at the uneducated, which often leads to sermons which are the inevitable and terrible seed of this decrepitude. 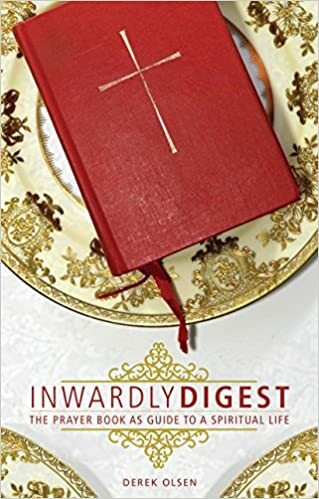 Recovering the dignity and power of the Liturgy of the Word, might inspire a greater interest and love of Scripture among the laity, it might inspire less insipid preaching among the priests, and reconnect Creedal Orthodoxy with its origins in Scripture. I can’t disagree with you… The way I phrase it is that the liturgy is our paradigmatic place where we encounter Scripture; its proclamation is most full when we encounter it in the midst of our Mass and Office liturgies but study of and reflection on the Scripture has to happen outside of our Sunday morning worship slot. As a homiletics guy, the preaching malaise is one I’ve spent a fair amount of time thinking about. I’m almost at the point where I’m ready to toss up my hands and confess that we’re teaching Scripture, liturgy, and preaching the wrong way because it simply doesn’t produce what we need: Scripturally-based, doctrinally-sound, preaching that’s pertinent to regular people’s lives. Is that so much to ask…? I know the discussion has moved on to the Bishop-elect of Northern Michigan, but I wanted to continue our discussion about the Liturgy of the Word. I spoke with my Rector about the Liturgy of the Word, following our discussion here. His experience as a lay person and then as a priest tells him that most people are bored by the O.T. and Epistle and perk up during the Gospel because they have a greater sense of connection to it. I was wondering if the Liturgy of the Word has lost its punch/relevance in a literate, information-saturated society where story-telling is not an exciting break in routine but something against which we learn to defend ourselves. I even wondered, to my shock and surprise, if returning to the proclamation of the Old Testament in the Liturgy was a good thing. As the first reading, often the most difficult linguistically and most distant culturally, perhaps it causes shut-down among the people and by the time for the Epistle they’ve already glazed over and turned inward. Also, the majority of Episcopalians I’ve met are crypto-marcionites, or maybe just marcionites. In Adult Ed. I constantly hear about how the God of Love would never countenance the killing of the Hivites, Jebusites, Perrizites, Egyptians, Amalekites et. al. and they simply don’t believe God had anything to do with it. They don’t believe the God of the Holiness Code is the God of Jesus. They generally like the psalms, however, because most of the psalms address experiences in ways that are comprehensible to them. Except for the ones where the Psalmist curses his enemies or demands death, those make them uncomfortable. Perhaps adding the OT was a bad idea for our marcionite church. Maybe the Hebrew Scriptures can only come back when the people again believe that the God of Hebrew Scriptures is the God of Jesus. But there’s my current thought, boredom and Marcionism have gutted the liturgy of the Word. I don’t know how this could be addressed in practice. Any thoughts?